With what you learned in the previous lessons, you are now only minutes away from making your first website. In Lesson 1 we looked at what is needed to make a website: a browser and Notepad (or similar text editor). Since you are reading this, you most likely already have your browser open. Open an extra browser window (open the browser one more time) so you can read this tutorial and see your new website at the same time. Open Notepad (Start > All Programs > Accessories > Notepad). Let us start with something simple. How about a page that says: "Hurrah! This is my first website." Read on and you'll find out how simple it is. HTML is simple and logical. The browser reads HTML like you read English: from the top down and from left to right. Thus, a simple HTML document begins with what should come first and ends with what should come last. The first thing you need to do is to tell the browser that you will "talk" to it in the language HTML. This is done with the tag <html> (no surprises there). So before you do anything else type "<html>" in the first line of your document in Notepad. As you may recall from the previous lessons, <html> is an opening tag and must be closed with a closing tag when you are finished typing HTML. So to make sure you don't forget the HTML close tag now type </html> a couple of lines down and write the rest of the document between <html> and </html>. Note how we structured the tags with new lines (using the Enter key) as well as indents (using the Tab key). In principle, it does not matter how you structure your HTML document. But to help you, and others reading your coding, to keep an overview, we strongly recommend that you structure your HTML in a neat way with line breaks and indents, like the above example. If your document looks like the above example, you have made your first website — a particularly boring website and probably not what you dreamt of when you started this tutorial but still some sort of a website. What you have made will be the basic template for all your future HTML documents. As you learned earlier, your HTML document has two parts: a head and a body. In the head section you write information about the page, while the body contains the information that constitutes the page. Note that this title will not appear on the page itself. Anything you want to appear on the page is content and must therefore be added between the <body> tags. The p in <p> is short for "paragraph", which is exactly what it is — a text paragraph. In the Save as type box, choose All Files.Note: This is very important. Otherwise, you save it as a text document and not as an HTML document. 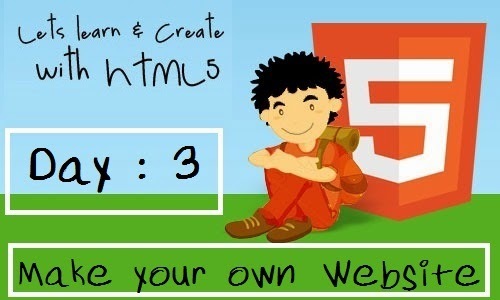 After 2-3 next tutorials, you will also learn how to upload your website to Internet. Students, just navigate over here to learn how to write a National Honor Society essay.